On Friday, September 28, we gathered at the tribal complex in Tahlequah, OK to discuss the significance of corn—selu—to Cherokee people. 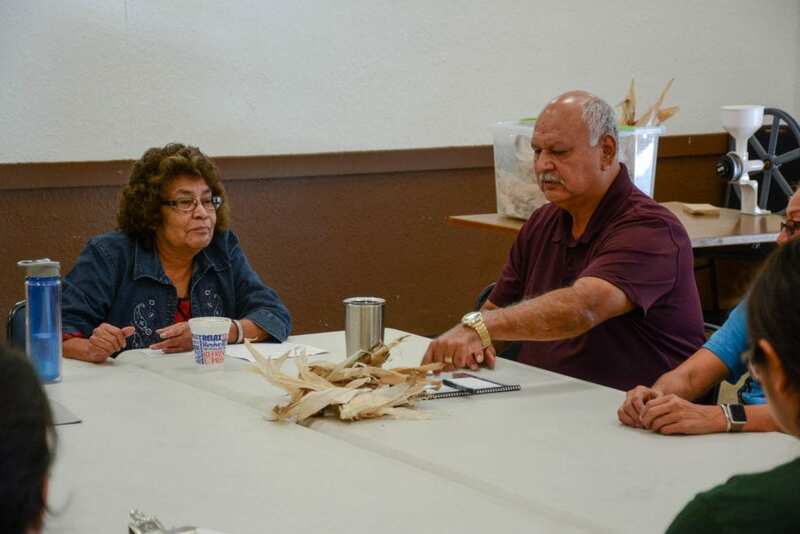 The Medicine Keepers opened the meeting by telling stories about their childhood, when their parents and grandparents raised corn fields to feed their families. 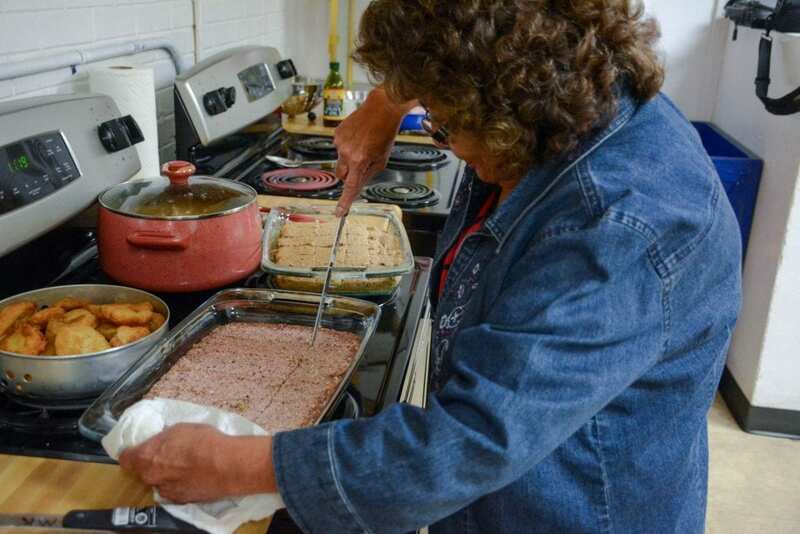 More than just a “staple food,” selu has sustained Cherokee people since time immemorial. 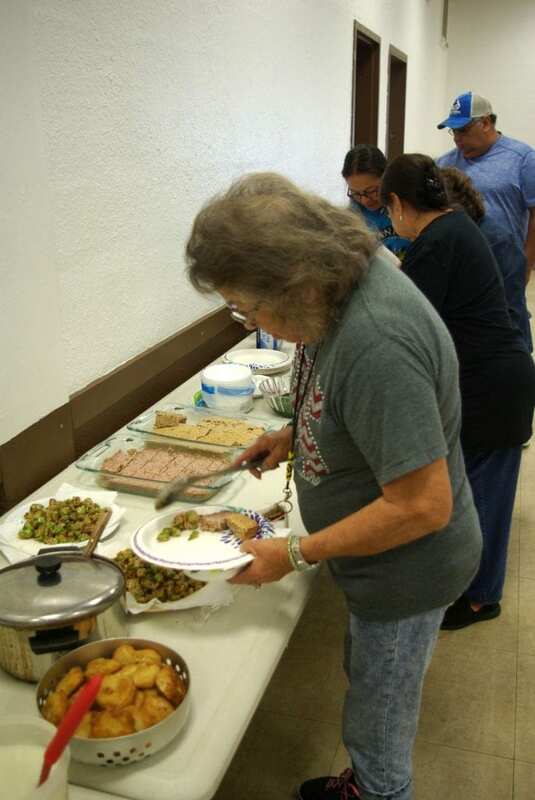 The elders shared numerous traditional recipes, which we put into action with our heirloom corn from the Cherokee Nation Seedbank Program. 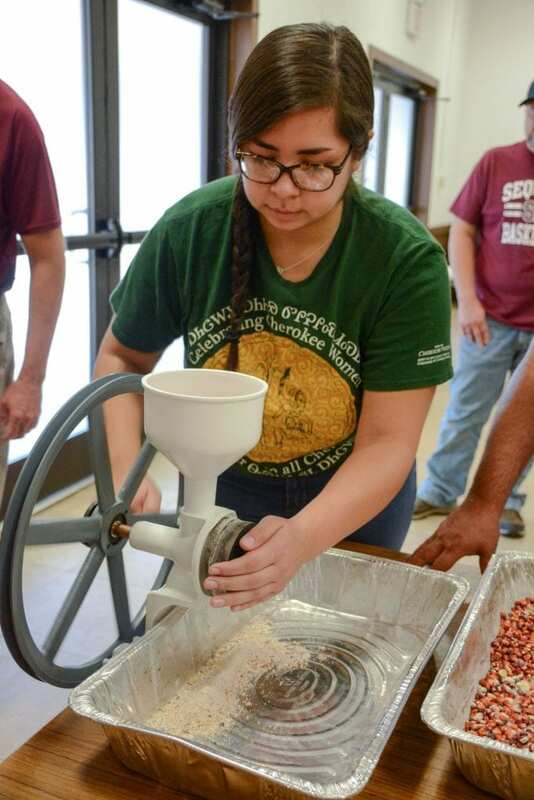 Using a hand-cranked grain mill, the students ground Cherokee colored flour corn into meal. 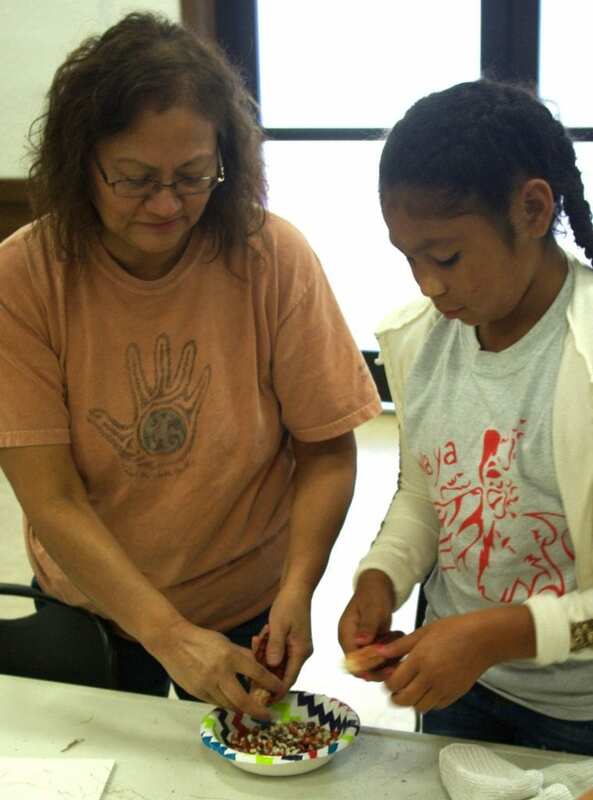 The Medicine Keepers showed students how to cook corn bread and numerous other traditional foods from scratch. Needless to say, we all had a great time learning, cooking, and eating! Medicine Keepers John Ross and Phyllis Edwards discuss the importance of corn to Cherokees. Photo by Stephanie Remer, Cherokee Nation Communications Department. 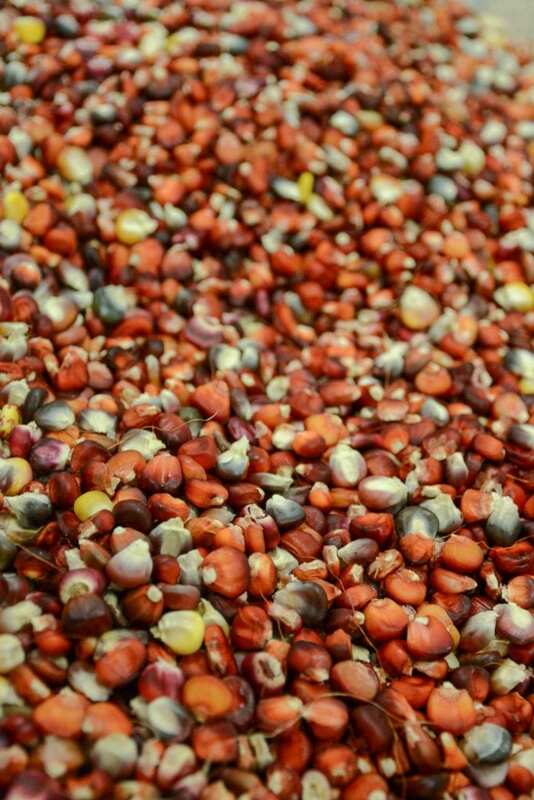 Pat Gwin describes the genetics of Cherokee heirloom corn. Photo by Stephanie Remer, Cherokee Nation Communications Department. 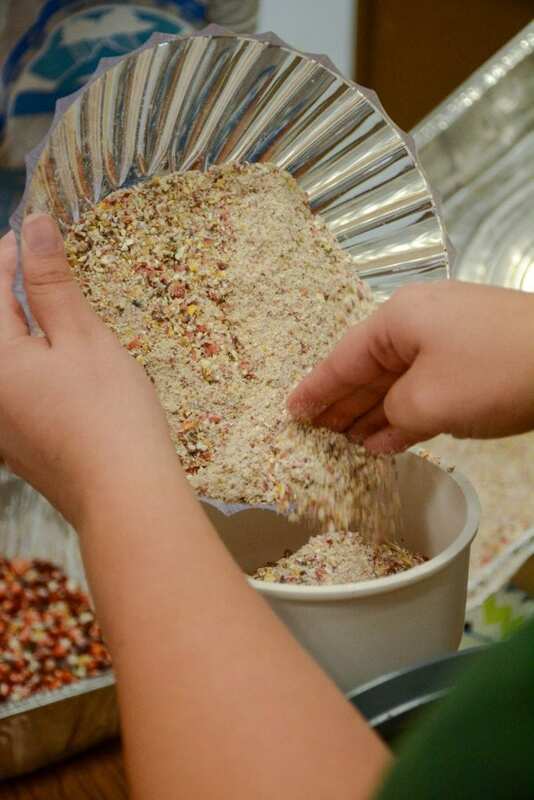 CELP students shelling Cherokee heirloom corn. Photo by Stephanie Remer, Cherokee Nation Communications Department. Medicine Keeper Nancy Scott shells corn with CELP junior member Cherokee Davis. 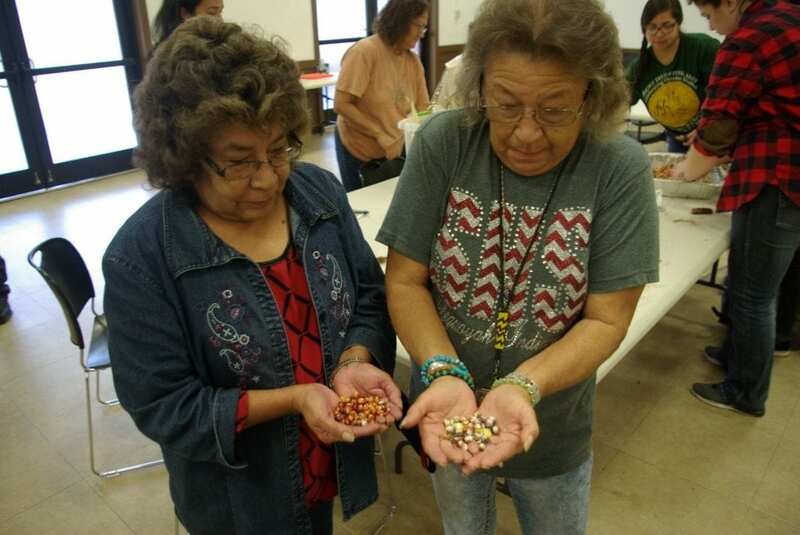 Phyllis Edwards and Bonnie Kirk with Cherokee heirloom corn. Heirloom Cherokee colored flour corn. Photo by Stephanie Remer, Cherokee Nation Communications Department. 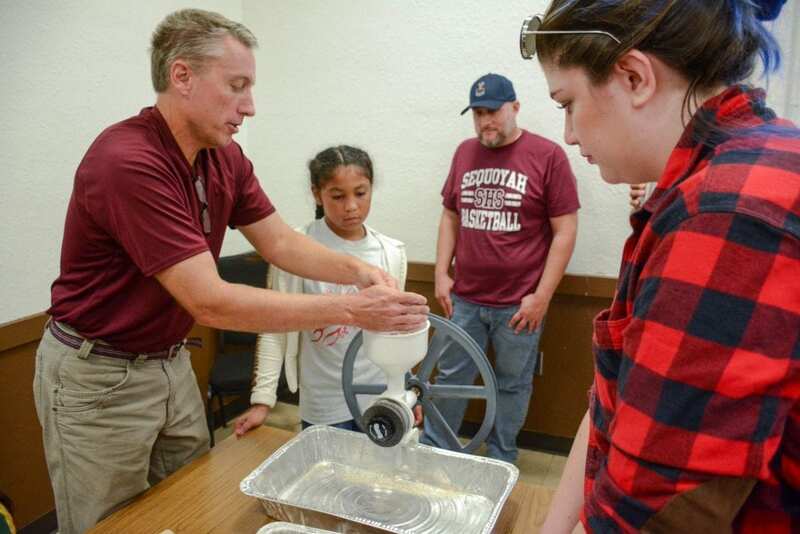 Pat Gwin instructs students on how to operate the grain mill. Photo by Stephanie Remer, Cherokee Nation Communications Department. CELP student Sky Wildcat. Photo by Stephanie Remer, Cherokee Nation Communications Department. Photo by Stephanie Remer, Cherokee Nation Communications Department. 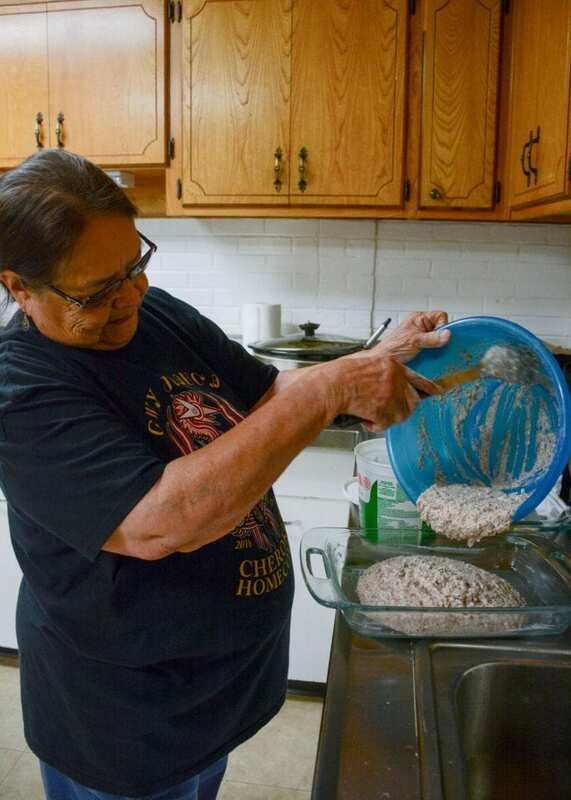 Medicine Keeper Anna Sixkiller making corn bread. Photo by Stephanie Remer, Cherokee Nation Communications Department. 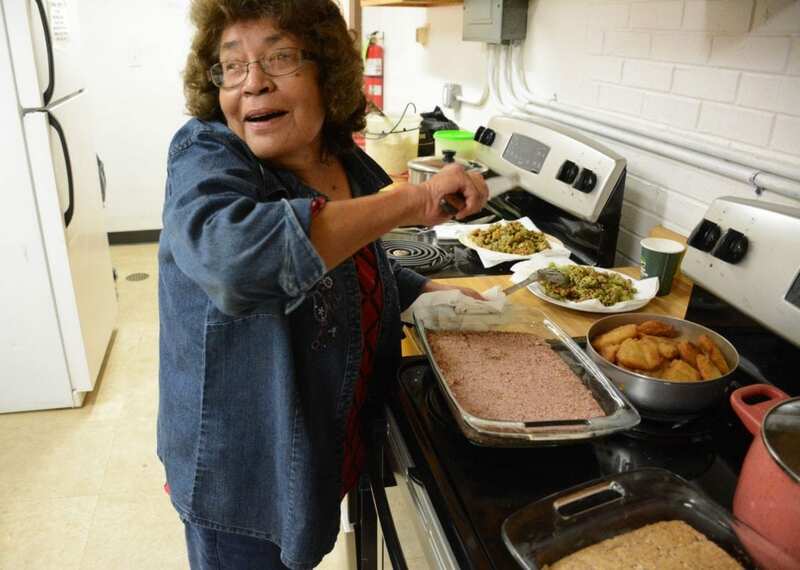 Medicine Keeper Phyllis Edwards with fresh corn bread. Photo by Stephanie Remer, Cherokee Nation Communications Department. Posted in Updates and tagged Land Education on October 5, 2018 by Clint. 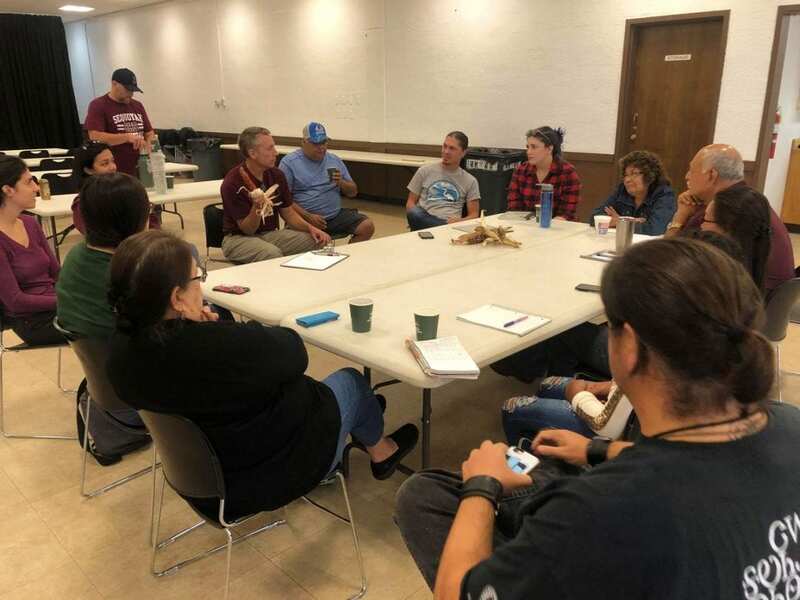 On July 26-27, we welcomed our student cohort (Savannah Anderson, Larry Carney, Sky Wildcat, Summer Wilkie, and Kakiley Workman) and kicked off the land education program. 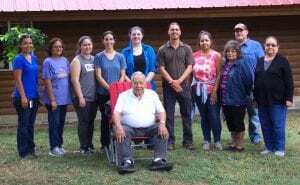 Students toured the Cherokee Nation Heirloom and Native Plants Garden, visited with elder and spiritual leader Crosslin Smith at his home, and generally got to know their Medicine Keeper mentors. 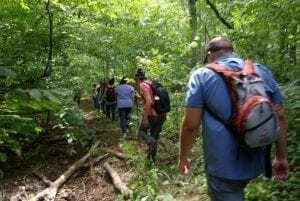 We closed the kickoff meeting on Friday with an ethnobotany hike led by Senior Director of Environmental Resources, Pat Gwin, on a remote and beautiful tract of tribal land in Adair County. We were grateful for good weather and no encounters with any poisonous snakes! We all look forward to the next three years of learning and working together to further the goals of the Medicine Keepers. The group gathered at Crosslin Smith’s home for a traditional blessing. L to R: Feather Smith-Trevino, Nancy Scott, Kakiley Workman, Summer Wilkie, Savannah Anderson, Clint Carroll, Sky Wildcat, Phyllis Edwards, Larry Carney, Anna Sixkiller. Seated: Crosslin Smith. 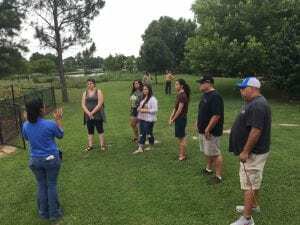 Feather Smith-Trevino gives a tour of the Cherokee Nation gardens. L to R: Feather Smith, Savannah Anderson, Sky Wildcat, Kakiley Workman, Summer Wilkie, Larry Carney, Gary Vann. Background: Kevin Daugherty, Pat Gwin. 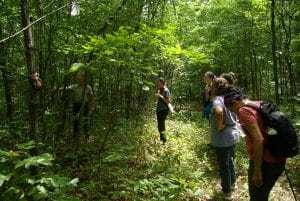 Students and staff on the ethnobotany hike in Adair County. L to R: Summer Wilkie, Sky Wildcat, Kakiley Workman, Larry Carney, Savannah Anderson, Nancy Rackliff, Kevin Daugherty. ᎧᎶᏪᏗ ᎤᏍᏗ / False indigo bush (Amorpha fruticosa), a Cherokee medicine plant. Photographed on the ethnobotany hike. 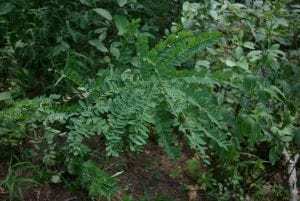 ᎢᎾᏓ ᎦᏅᎪᎢ / Walking fern (Asplenium rhizophyllum), a Cherokee medicine plant. Photographed on the ethnobotany hike. 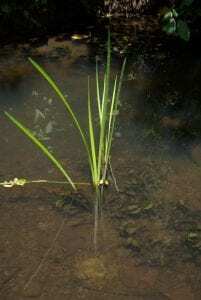 ᏬᏱ ᎦᏙᎦ / Sweet flag (Acorus calamus), a Cherokee medicine plant. Photographed on the ethnobotany hike. 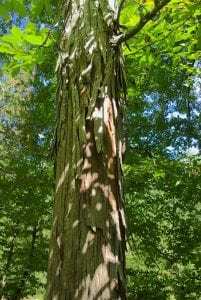 ᏩᏁᎢ / Shagbark hickory (Carya ovata), a culturally significant Cherokee tree. Photographed on the ethnobotany hike. 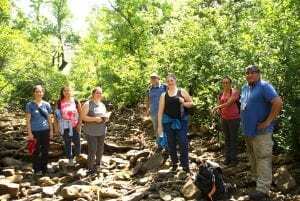 Students and staff on the ethnobotany hike. Pat Gwin discusses culturally significant plants with the student cohort on the ethnobotany hike. Posted in Updates and tagged Land Education on July 30, 2018 by Clint. Itsvyalihelitseha (we are grateful to you all). Thanks to all those who applied to the land education program, and to the finalists who participated in the interview sessions on April 18-20. I was grateful to be able to meet such an inspiring group of Cherokees! We received 20 applications in total, and we interviewed 10 finalists, from which we will select 5 students to make up the program cohort. No doubt, this will be a difficult task. Nevertheless, we look forward to planning the kickoff meeting this summer. 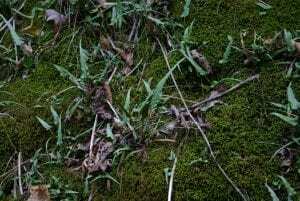 Posted in Updates and tagged Interviews, Land Education on April 24, 2018 by Clint. We’re excited to announce the Call for Applications for the Cherokee Environmental Leadership Program. 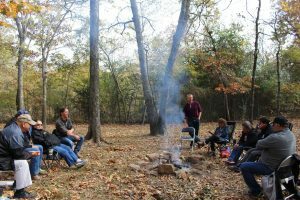 The Cherokee Environmental Leadership Program is a three-year land-based education program that seeks to train Cherokee young adults in traditional ecological knowledge, the Cherokee language, Western scientific knowledge, and social science research methods to address natural resource issues in northeastern Oklahoma. 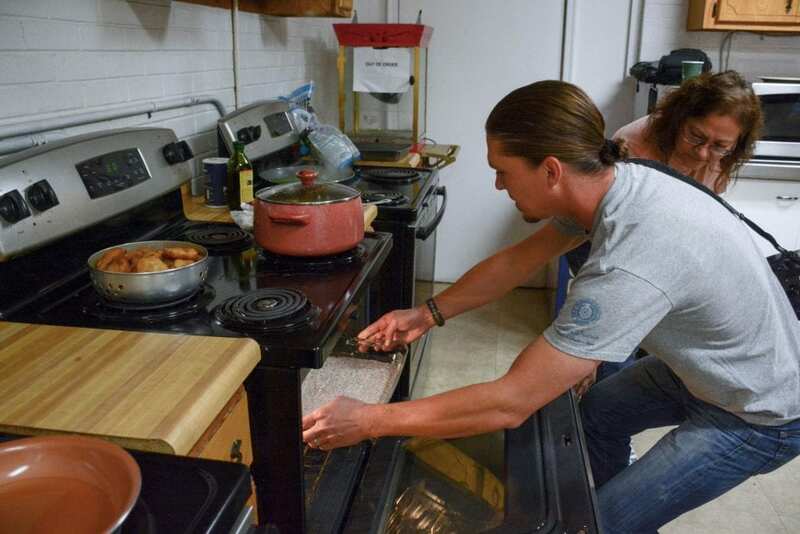 The program is funded by the National Science Foundation, and is directed through a partnership between the Cherokee Nation Medicine Keepers (an incorporated group of respected Cherokee elders), the Cherokee Nation Office of the Secretary of Natural Resources, and Dr. Clint Carroll—a University of Colorado professor and Cherokee Nation citizen. We are seeking dedicated individuals who are committed to learning and perpetuating Cherokee culture. 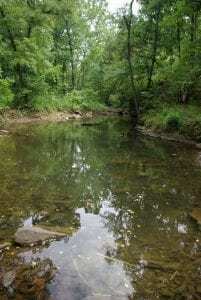 Applicants must also have a vested interest in addressing local environmental issues in Oklahoma. 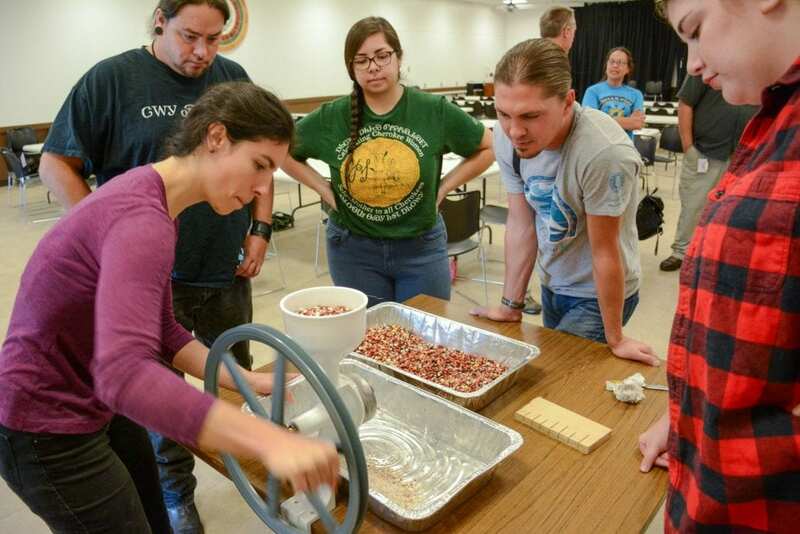 Five selected students will receive training in local environmental knowledge, drawing from traditional Cherokee and Western scientific sources. 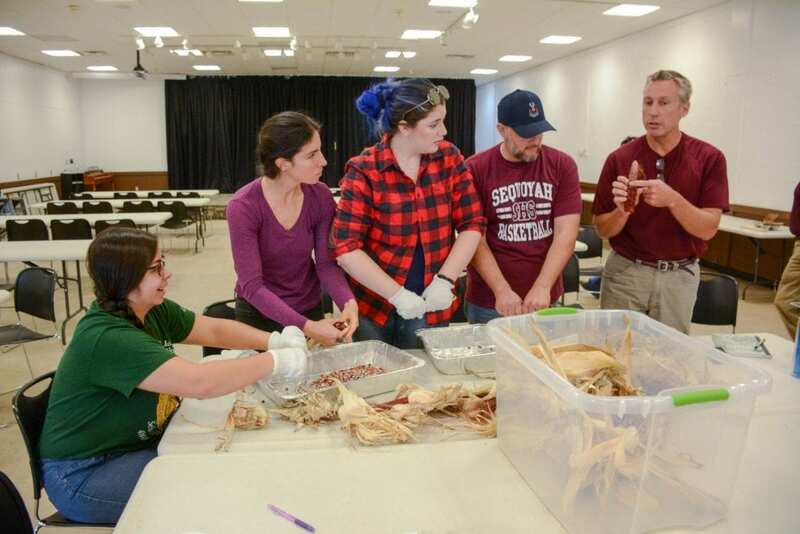 Students will also study the Cherokee language, learn about critical issues in tribal environmental policy, and receive research experience working on a social scientific research project in the Cherokee Nation. Eligibility: Cherokee Nation, United Keetoowah Band, or Eastern Band citizenship; residence in northeastern Oklahoma or the immediately surrounding area. Qualifications: A strong commitment to learning and perpetuating Cherokee lifeways, language, and knowledge, as demonstrated through the written application and an in-person interview (if selected). Time Commitment: Over the course of the three-year program (June 2018-May 2022), students will be expected to commit an average of 10 hours per week to the project. Applications are due Friday, March 16, 2018. See also the Press Release in the Cherokee Phoenix. Posted in Updates and tagged Land Education, Publicity on March 2, 2018 by Clint. I recently sat down with Dr. Lisa Schwartz of the CU Boulder Office of Outreach and Engagement to discuss my work in Oklahoma and how this project developed. You can read it at the Engagement Scholarship Series site. Posted in News and tagged Publicity on January 7, 2018 by Clint. 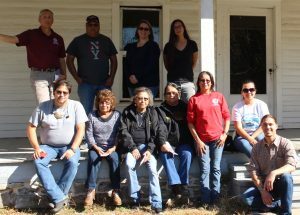 Members and staff of the Cherokee Nation Medicine Keepers gathered at the Old Saline District Courthouse to kickoff the grant project and discuss the curriculum for the land education program. 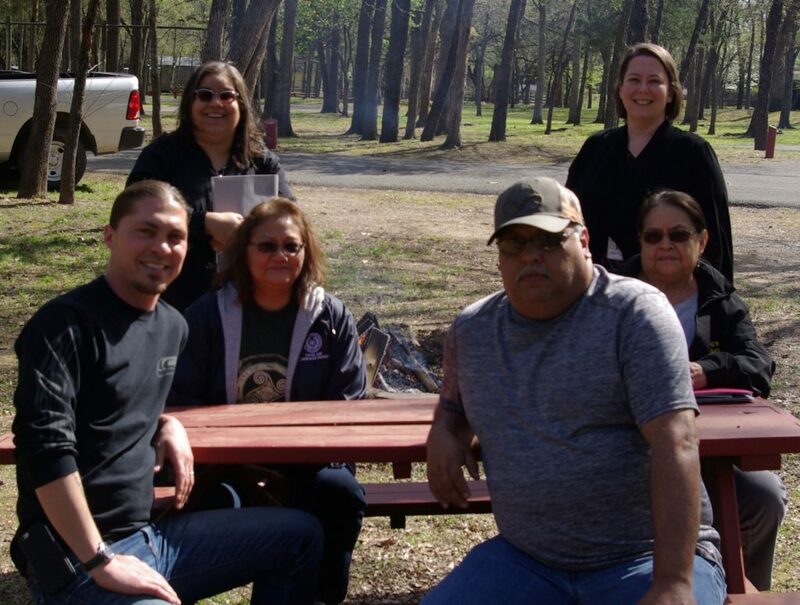 L to R: (top row) Pat Gwin, Gary Vann, Secretary of Natural Resources Sara Hill, Tribal Historic Preservation Officer Elizabeth Toombs, (bottom row) Ryan Mackey, Phyllis Edwards, Bonnie Kirk, Anna Sixkiller, Nancy Rackliffe, Feather Smith-Trevino, Clint Carroll. 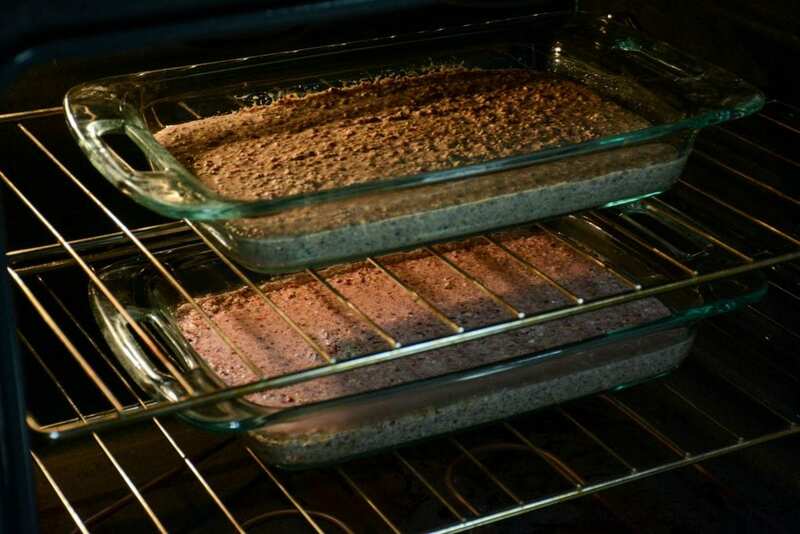 Our first activity for the grant project was a huge success! 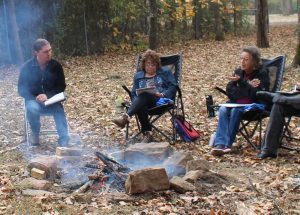 On November 2-3, the Cherokee Nation Medicine Keepers gathered to discuss the curriculum for the upcoming three-year land education program. Topics ranged from the Cherokee philosophy on teaching to proposed activities for our future student cohort. I look forward to putting these thoughts into a curriculum plan draft and issuing a call for applications soon. Stay tuned! Discussing the land education curriculum with members of the Medicine Keepers at the Saline Courthouse. 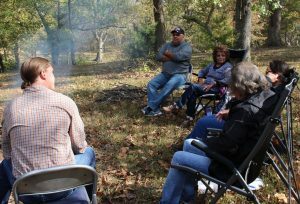 Day two discussions took place at the Cherokee Heritage Center grounds in Park Hill. Elder and Spiritual Advisor Crosslin Smith joined us for day two. 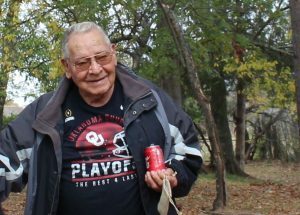 Knowing the Land is a research and education project funded by the National Science Foundation and focused on resource access, conservation, and Cherokee land-based education in Oklahoma. This blog provides information and updates on the research and educational activities.